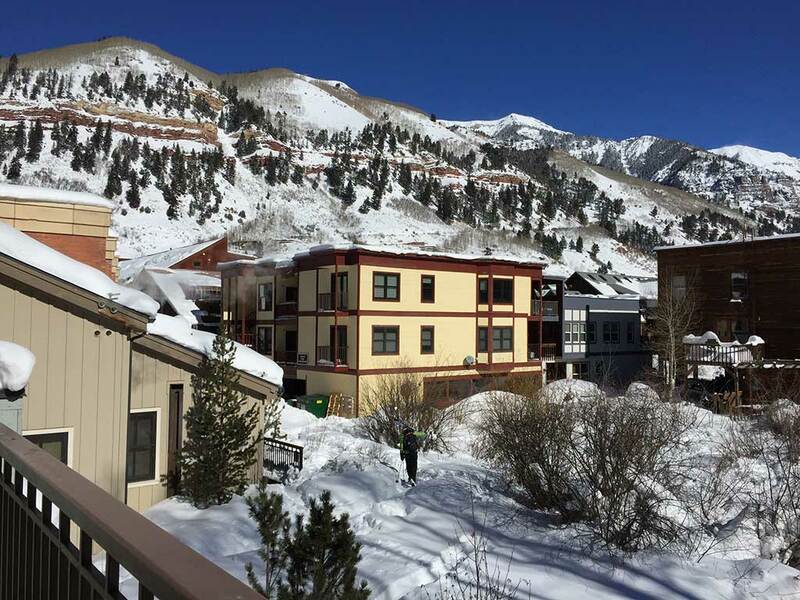 With 20+ feet of snow, now is the time to purchase a condo in Telluride. With over 20 feet of snow this ski season, there’s no time like the present to purchase your next ski-in/ski-out condo in Telluride, Colorado. To say that Telluride Ski Resort has had a great ski season with the highest mid-mountain base in Colorado is an understatement. It has been an El Nino EPIC season thus far, with the last big storm dumping 24” in 24 hours, providing some of the best conditions of deep deep powder here in Telluride! The Telluride School District even called a “snow day” this past Monday, February 1st which is rare and practically unheard of for parents and kids alike to go out and enjoy those 2 feet of fresh powder together. As of today, since opening day Telluride Ski Resort has received 241” of snow this ski season. 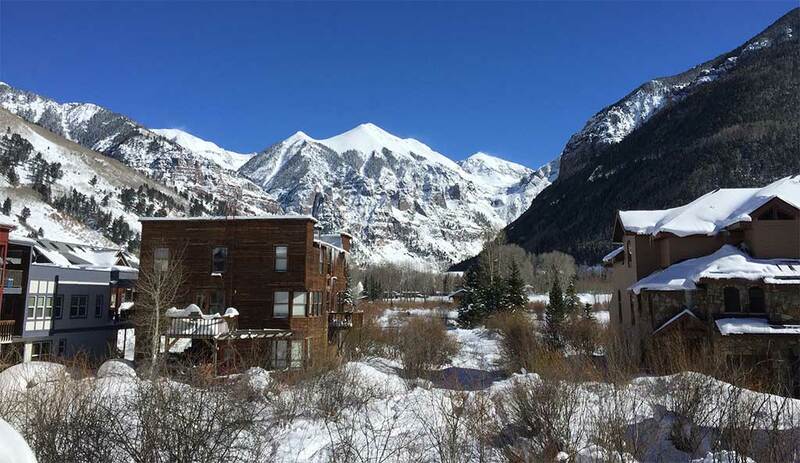 With the average snowfall per season in Telluride at 309" and February and March (our snowiest months respectively) still ahead of us, there's no better time to purchase your dream ski-in / ski-out condominium in Telluride. Having a ski-in / ski-out condo here in Telluride makes it simple and easy to take advantage of everything this unique area has to offer. Telluride and Mountain Village offer a cornucopia of various adventures and activities for any age that your family and friends can take part in no matter the time of the year. Whether your ski condo is in classic ski chalet in downtown Telluride with slope side views or European alpine elegance surrounded by the towering San Juans in Mountain Village there is a fabulous condominium waiting for you! For any price point and level of finish Telluride and Mountain Village condominiums offer care-free ownership with resort amenities to suit your palette. Downtown Telluride direct ski access condominium offerings vary from the prestigious full service Auberge Resort Residences at Element 52 to the newly reimagined Icehouse Lodge Condominiums. Other options with amenities such as swimming pools can be had at the Viking Lodge, Etta Place Too and Lulu City while others can save on the association dues with minimum on-site amenities at Cimarron, Ore Station Lodge and Telluride Lodge. There are also the newly constructed West Pacific Street Units and the under construction contemporary Transfer Telluride Condominium both within a block of the free Gondola and Oak Street Chair lift offering private garage parking with luxurious single family living appeal. Mountain Village ski access condominiums are vast and vary from updated original core condo complexes to newly constructed modern mountain luxury resort living residences. Interested in new construction with concierge resort services then the Madeline Residences, See Forever Village, Lumiere, Elkstone 21, the Villas at Cortina, and Cassidy Ridge fit the bill. Mountain Village Core offers the most variety in condos which have the premium location but with more reasonable association dues offering minimal amenities including Granita, Kayenta, Dakota Place, Telemark, Belvedere Park, Tramontana, Chamonix, Village Creek, Centrum and Westermere to name a few. Other ski-in / ski-out options not to be missed are Lorian, 12 Trails Edge, Mountain Lodge Telluride, The Terrace Condos, Bear Creek Lodge and the Peaks all offering various desirable amenities and concierge/hotel like services. There are various condos which fit your wants and needs in Telluride and Mountain Village, Colorado!